Three Iowa chapters of a breast cancer-fighting agency are joining forces. The affiliates are Susan G. Komen Iowa, Komen Quad Cities and Komen Siouxland. The merged affiliate, Komen Greater Iowa, will have its main office in Des Moines with offices and staff also in the Quad Cities and Siouxland. Komen Greater Iowa will serve all of Iowa’s 99 counties plus Henry, Mercy, Rock Island and Whiteside counties in Illinois; Dakota and Thurston counties in Nebraska; and Union County in South Dakota. 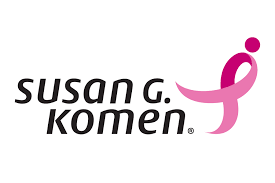 Susan G. Komen is known for its fight against breast cancer. The organization says the merger of the three affiliates will increase efficiency and stewardship by centralizing some functions, leveraging staff and volunteer leadership, and merging granting and funding relationships.